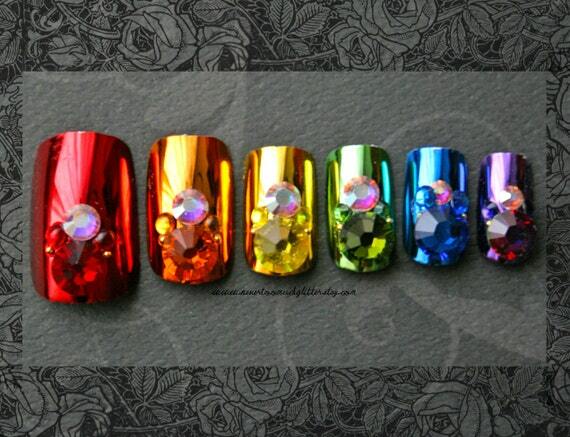 Love ’em or hate ’em, some of these nail tips are true works of art. These are all the finalists, but I didn’t find out who actually won as that was announced on the Monday, the last day of the expo. 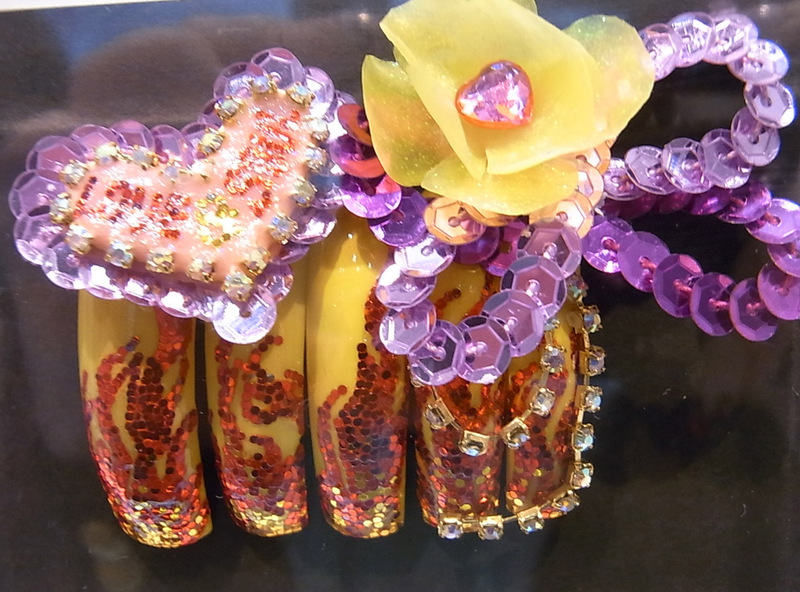 The theme was “Love and Soul,” and some nails appear to have nothing to do with the theme, which others reflect it. And some just…wow. Just wow. Click to make them bigger! 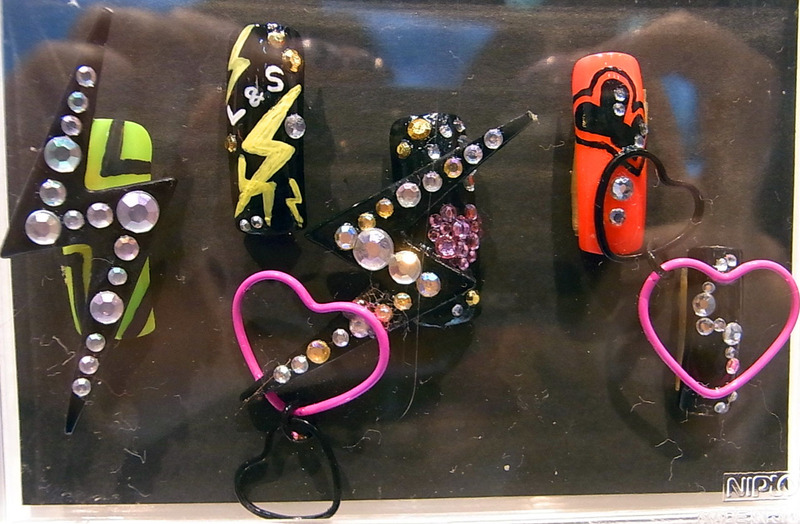 Lightning bolts, rhinestones, and hearts. 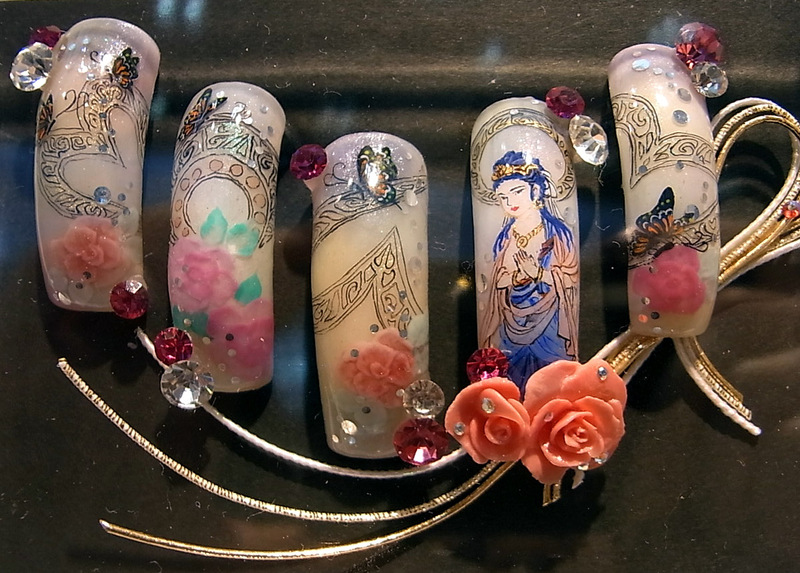 Not sure how it relates to the theme, but they did write L&S on one of the nails. 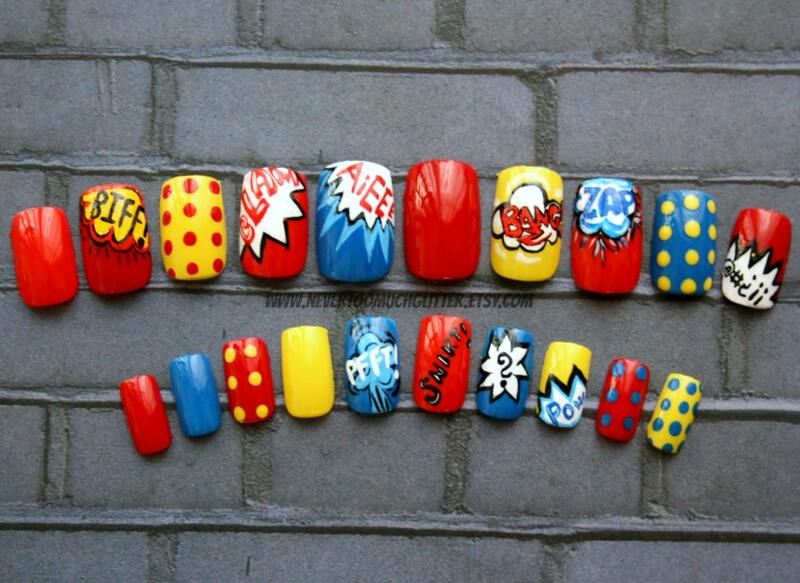 If I had a machine that could transform Jamz into fake nails, this would have been the result. Besides Brooke, did anyone have a pair of Jamz? Maybe the Europeans and Asians are lucky enough to have been spared the truly awful fashion that was Jamz, but somehow I doubt it. A more traditional interpretation of the “Love and Soul” theme. I think that’s Kannon, the Buddhist godess of mercy. I could be wrong, but itn any case, it’s very fine work with tiny, perfect details. All these bits are actually connected to the nails. 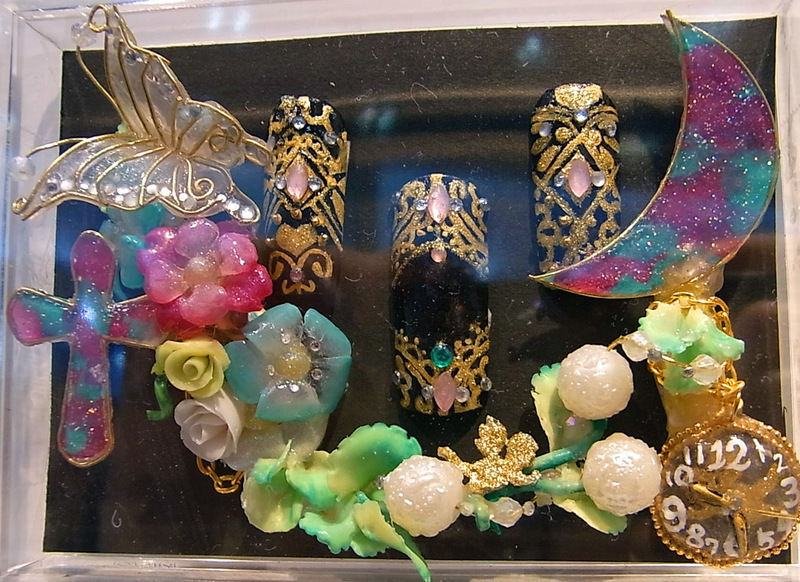 We’ve got a clock, a cross, a moon, some flowers and a giant butterfly connected to black nails with gold filigree detail and jewels. What does it mean? Also, what if you sneeze while wearing these? I would have loved to seen them modelled but didn’t get the chance. Flames made of tiny foil dots, sequins, a giant heart that says “Love and Soul,” and a yellow poppy PLUS rhinestone chain bullion. I always knew love and soul was made up of sequins and rhinestones. The flames are just the icing on the shiny cake. 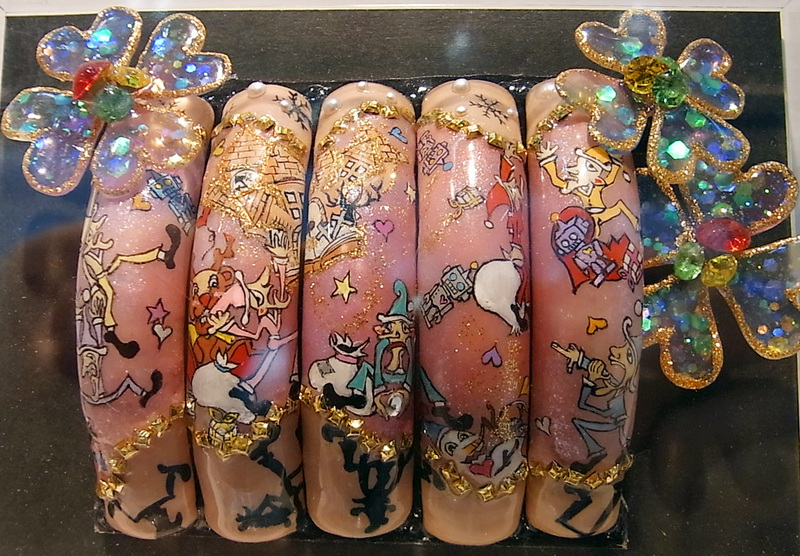 This entry was posted in Japanese Nail Art, Nail polish and tagged amazing nails, awesomely tacky nail art, cool nail art, extreme nails, geometric nail art, Japanese Nail Art, nail art contest, tacky beyond belief nails, Tokyo Nail Expo, wow...just wow. Bookmark the permalink. #3 and #5 are just stunning! 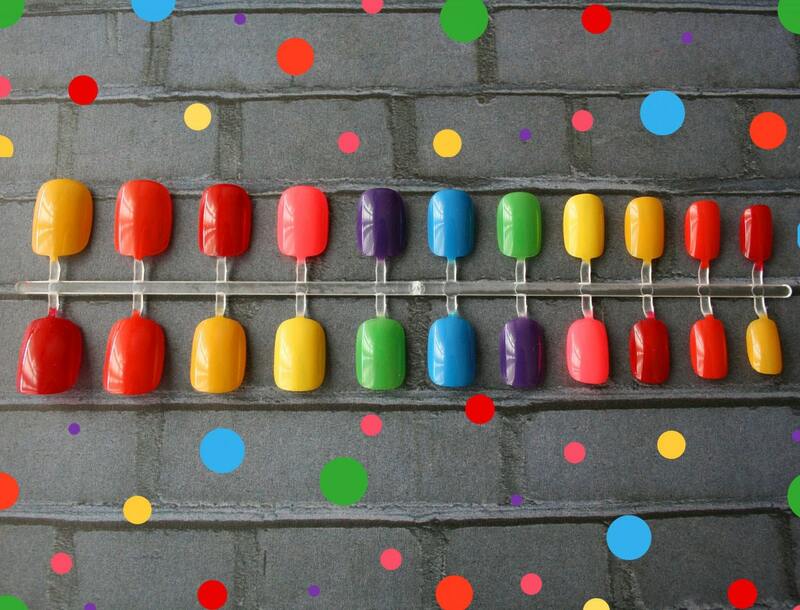 Heeheehee, are you becoming the “Cake Wrecks” of nail art? I love your commentary and your appreciation for the real art here. Nice photos! Not only did I have Jams, but they were homemade by my grandma !!! lmao!!! 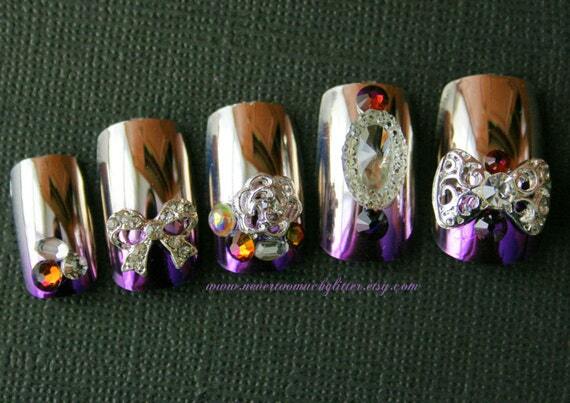 The nails with the flames – just gorgeous! If they would have just left off all that other stuff these would have been the one for the win!!!! Thank you for posting all of these! Very inspiring. 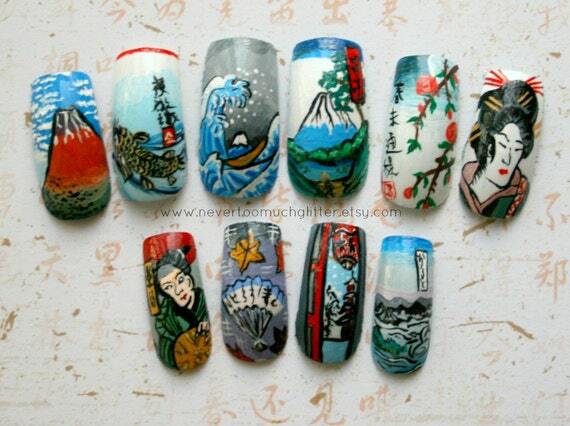 I also would’ve loved to have seen these actually on the hand. I just can’t imagine how you could function in these. They are little works of art. As mini-sculpture, they are amazing. It doesn’t matter if they’re not wearable or whatever, they are tiny works of art. Like a Faberge egg or paperweight- so what if it’s not useful? It takes amazing skill nonetheless.